Yep. I just wanted an excuse to draw this. What would be the next logical step up? Klingon? Guest post by "Auryn Grigori"
Make it so (if you feel like it. I am happy with what ever you put out). Last panel would be a cute wallpaper. I love that kid so damn much right now. Irma seems to have amassed quite a collection of faux facial hair, considering all the various beard and mustache styles we've seen so far. S/he must be a frequent customer at the local costume ship, I'm guessing. Maybe, Christine, we readers can follow along on one of Irma's trips there? Fun fact! 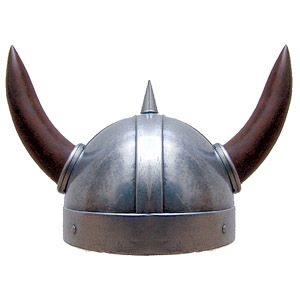 The Vikings never actually wore helmets with horns on them, which makes sense when you think that those horns must be really heavy and they also weaken the structural integrity of the helmet. But they add so much to its awesomeness! I think it would be an even more fun fact if Vikings wore bigger helmets, like, I don't know, maybe their mom's breastplate.